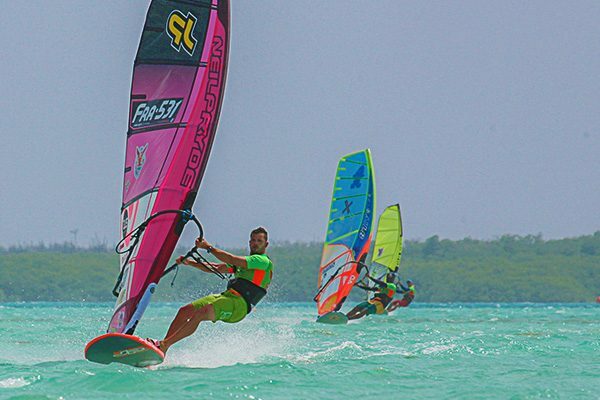 Join Nicolas Warembourg for his windsurfing clinics! It’s the perfect way to discover the sport or improve your level! 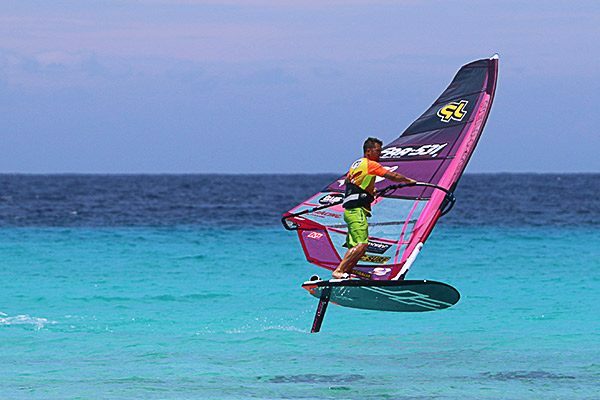 During the 5 clinic days in Sorobon Beach Resort and Dunkerbeck Pro Center you will be able to push your limits and enjoy time on water. 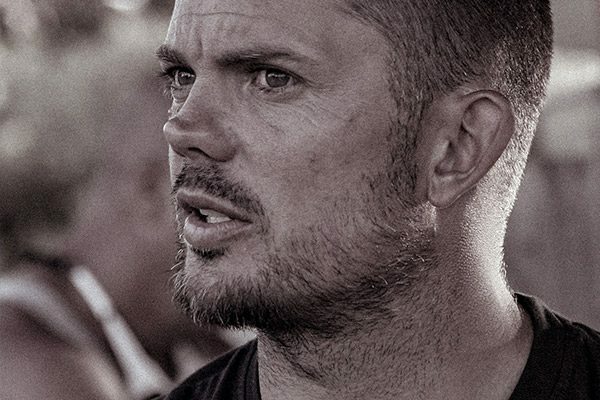 Currently, Nicolas is one of best competitive French riders, with over 20 years of experience in coaching. He’s been hosting French and international clinics for windsurfers for 15 years already, and his teaching techniques and skills readers can observe in all the educational articles of the biggest French windsurfing magazine – “Wind magazine”! The windsurfing career of Nicolas is painted with many achievements. He holds 3 French titles in Slalom and Long Distance racing. Moreover, this year Nicolas won the biggest international windsurfing event: the Defiwind in Gruissan, where he competed with over 1200 windsurfers! Level of experience for participation: any! From beginner to professional, Nicolas will adapt his coaching to help you achieve your personal best! What you could learn: beginner windsurfing, freeride, freerace, slalom, foil. One clinic day will include: coahing time on water, technical meeting on beach and video analysis in Sorobon Beach Resort. Important Note: There is a minimum of 5 participants per clinic! In Sorobon Beach Resort we offer an accommodation package during the clinics for those who would like to stay close to action! Accommodation options are either in a one bedroom chalet in Sorobon Beach Resort or in a one bedroom apartment in Sorobon Apartments. To book a clinic or clinic package, please email reservations@sorobonbeachresort.com with all your preferences.